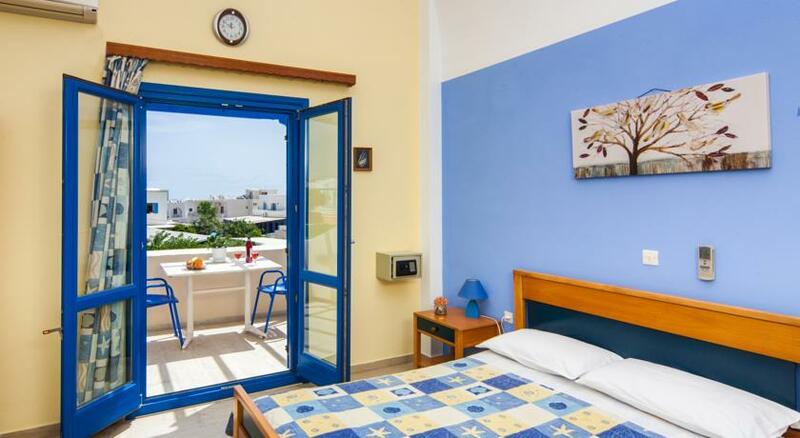 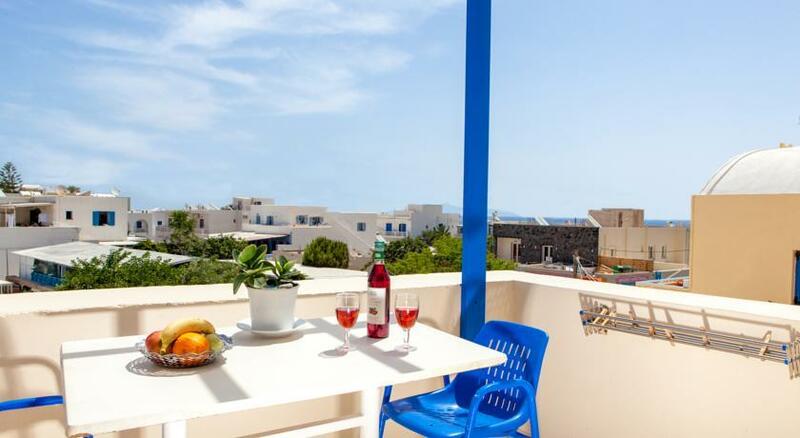 HOTEL AKIS - ESPERIDES VILLAS is located in Kamari, the most beautiful beach of Santorini. 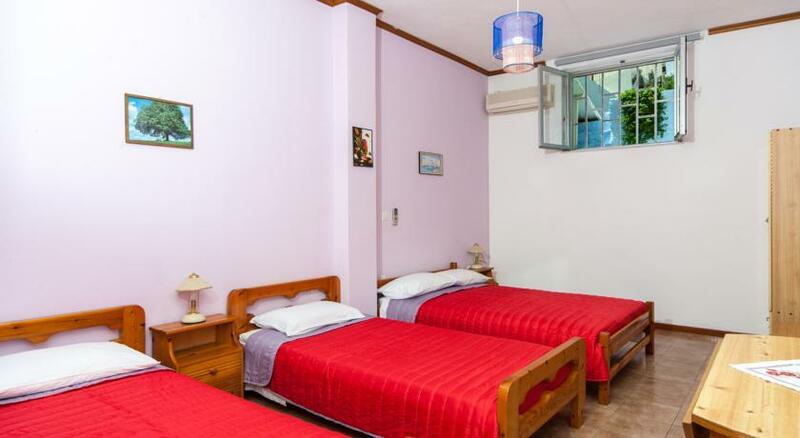 Recently renovated, with it\'s comfortable and clean rooms, all of them with private bathroom, telephone, music, refrigerator, hairdryer, safe box, air-conditioning and T.V. 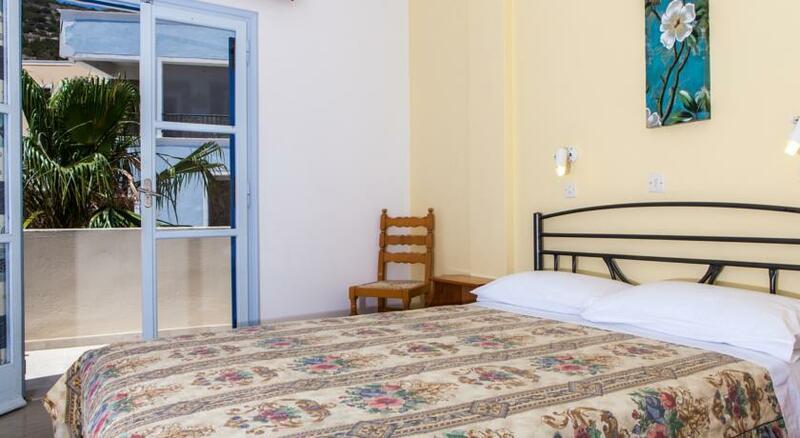 The apartments consist of 2 main rooms with private bathroom and a small kitchenette, for 4 persons. 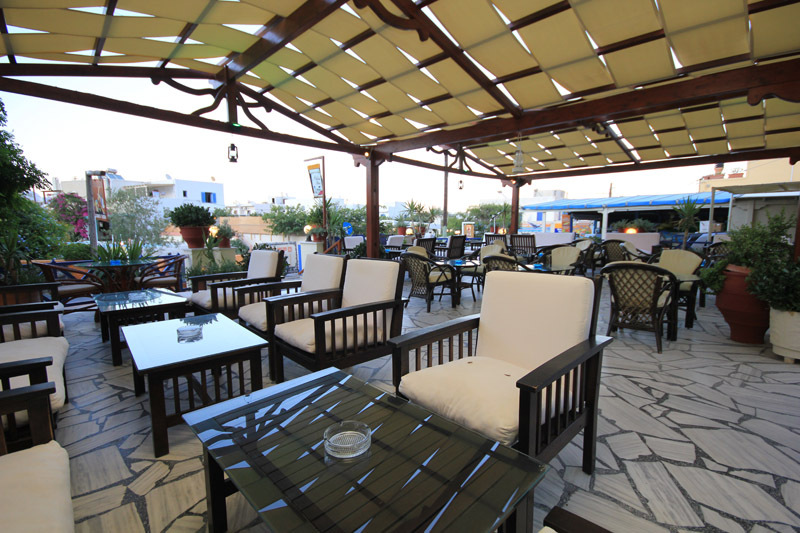 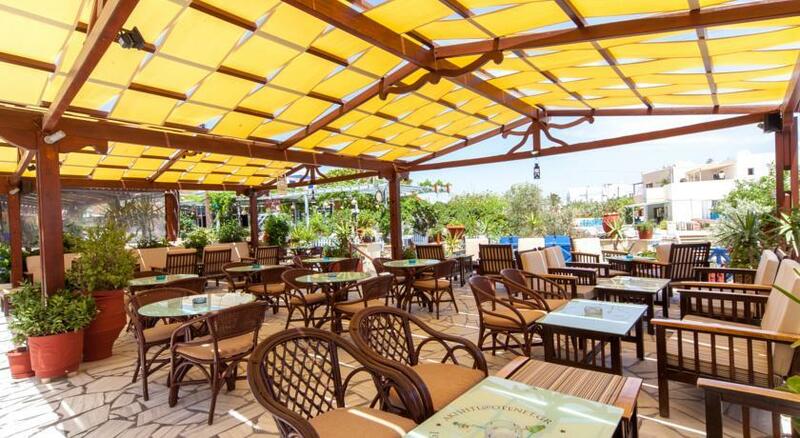 On the first floor and in the big yard, operates Cafeteria - Cocktail Bar for many refreshing and delicious flavours. 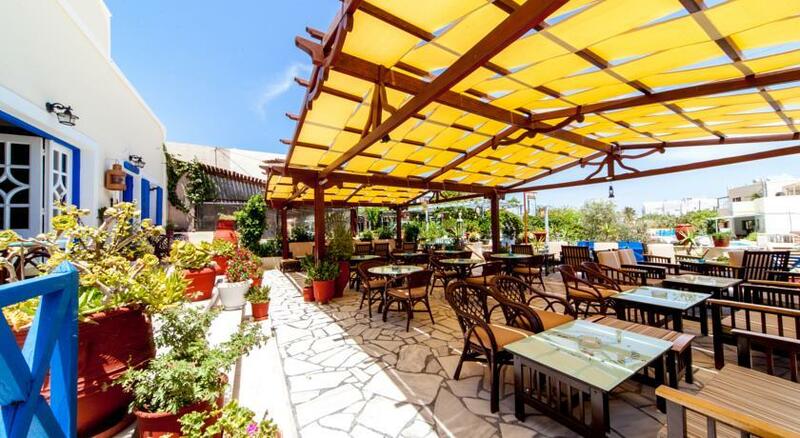 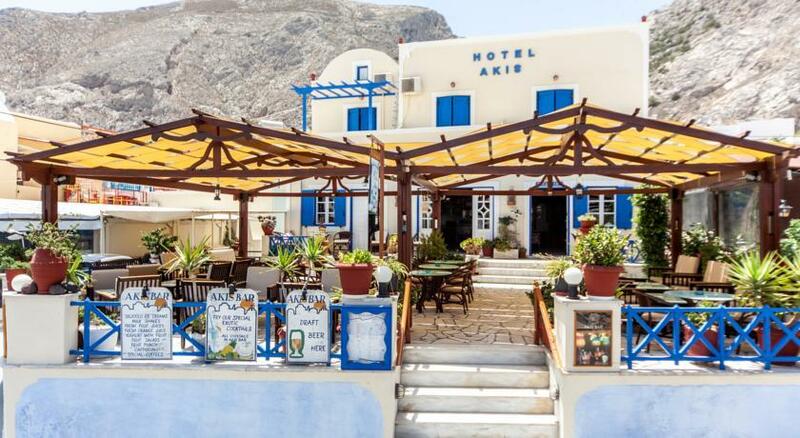 AKIS HOTEL - ESPERIDES VILLAS are only 40m far from the magnificent Kamari beach and also, only 10 min far from Fira (capital) by bus which stops just in front of the hotel. 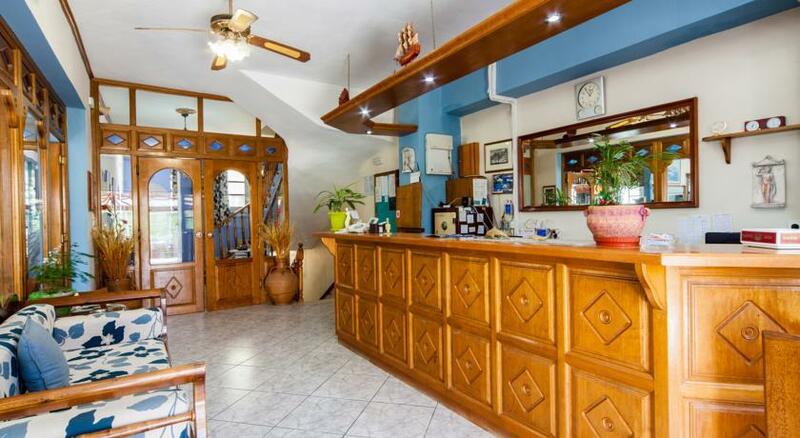 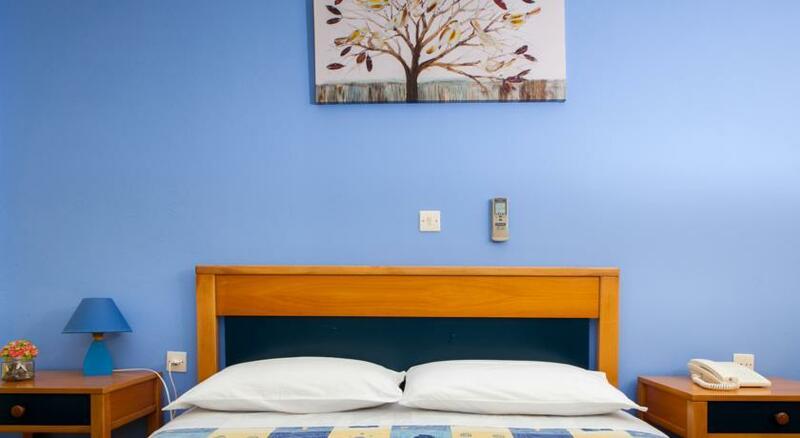 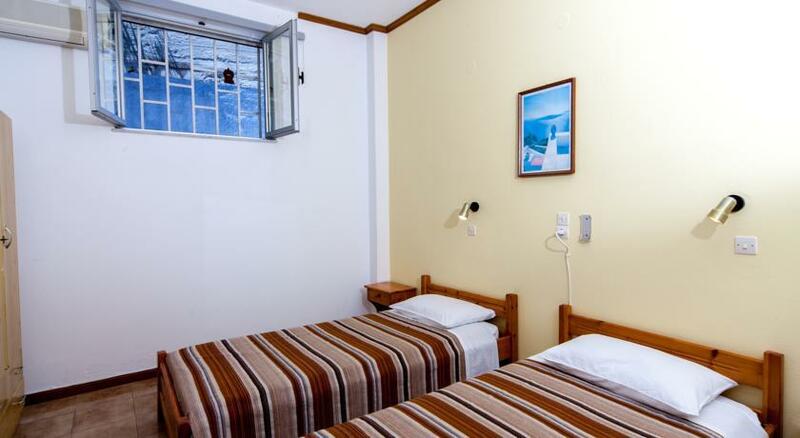 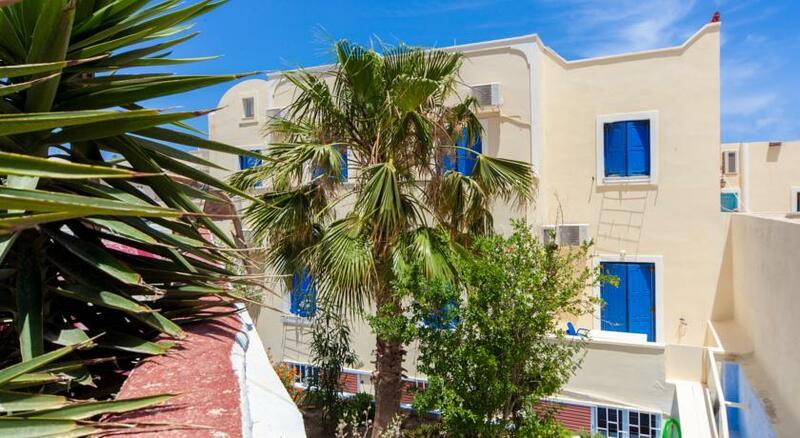 Our hotel offers: 26 double rooms, 8 Studios, and 2 apartments. 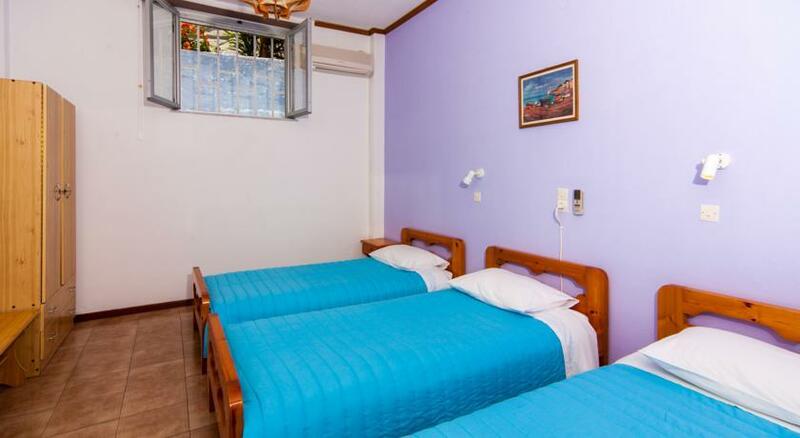 The rooms can accommodate 2 persons or 3 with extra bed. 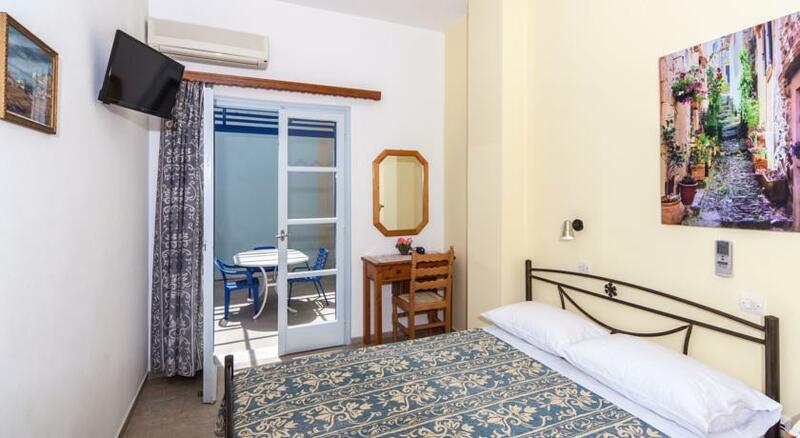 Studios can accommodate 2 persons and they have also a fully equipped kitchenette where you can prepare a good breakfast or meal. 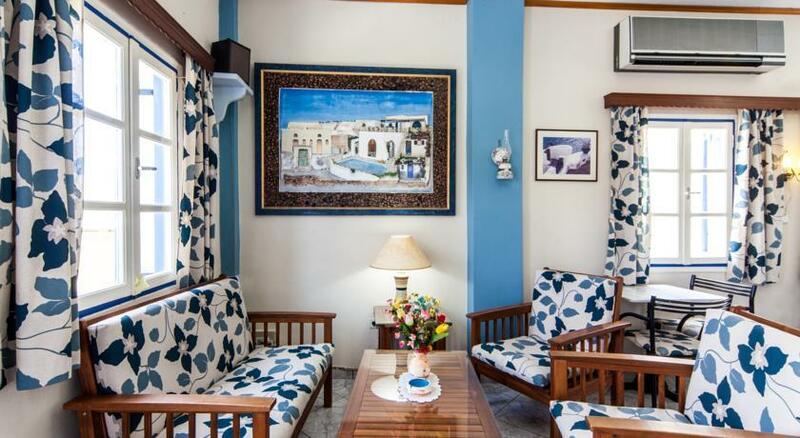 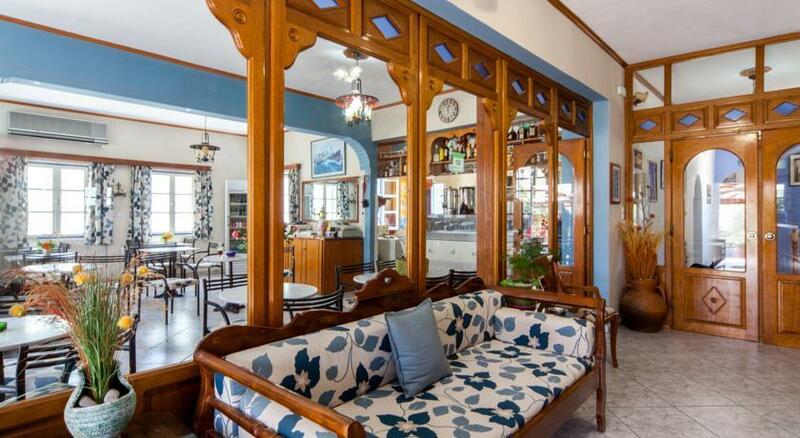 Every apartment is consisted of 2 main rooms and is suitable for families of 4 persons.